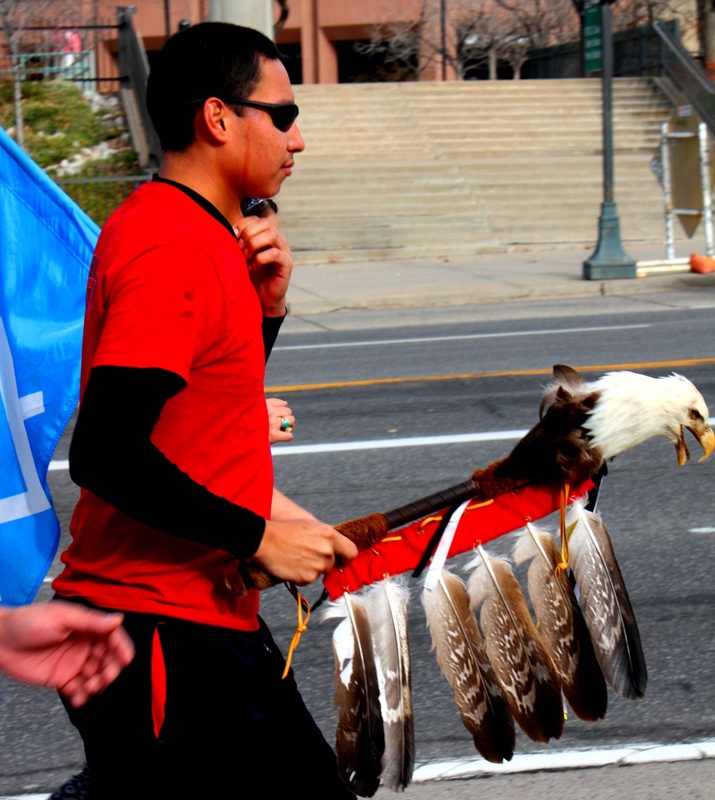 Today, November 2 9, 2013, we honor our Cheyenne and Arapaho ancestors who gave their lives 149 years ago and seek healing through the 15th Annual Sand Creek Massacre Spiritual Healing Run/Walk. I’ve had the honor of being the Eagle Staff carrier/lead runner for the past six years. Carrying the Eagle Staff is a big responsibility and is a difficult task to do, but I have learned that over the years I gained my energy and strength from the other runners, prayers and our ancestors pushing us through the connections of the Eagle Staff. The Eagle Staff was made by the (late) Laforce “Lee” Lonebear. 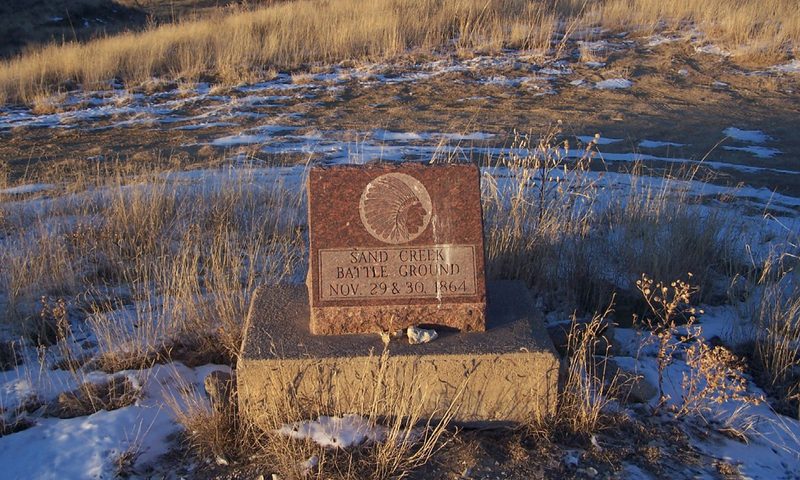 Lee was the founder of the Sand Creek Massacre Spiritual Healing Run/Walk. I plan to collaborate with NYLA next year on the 150th anniversary to fund the trip for elders to attend the annual spiritual healing run. I seen elders wanting to attend the event but do not have funding to take the 1400 mile journey. – A paragraph from the Letter of Captain Silas Soule to Major Edward Wynkoop regarding Sand Creek Massacre.